The founder of Actual Innocence Review, Daryl Parker, has a background in law enforcement, first as a U.S. Marine Corps unit legal officer, then as a Texas police officer. In 2014, he began using his experience as a criminal investigator by volunteering to review cases for the Innocence Project of Texas (IPOT), with the goal of identifying potentially wrongful convictions. Based on their limited resources and legal specialty, IPOT and similar organizations are primarily focused on developing legal challenges based on new DNA testing in cases where DNA evidence was critical. In their efforts, investigation plays a supporting, but minor role. This model of exoneration assistance, however, is becoming less and less effective, as old cases with DNA evidence have been scoured over for the past twenty years. Along with over 2,000 exonerations, new standards and advances in DNA testing have greatly reduced the errors that originally convicted these people. While this has been incredibly successful work, this model does nothing for the additional thousands of wrongfully convicted people who were not convicted on DNA evidence. Because of this, the model must evolve to try to address the deficiencies that have convicted so many others. Statistics on the phenomenon of wrongful convictions demonstrate that weak investigations by law enforcement played a critical role in every case. The results of those investigations are the crux of the state's case, and the wall that the defense has to climb to disprove guilt. Therefore, it makes sense that the best way to challenge a conviction is to conduct a thorough, professional investigation, to challenge the state's information. While this process is very difficult, for the reasons stated above, it is the future of exoneration work. To that end, Daryl envisioned a means of providing comprehensive investigative services for post-conviction efforts. In late 2015, Daryl officially formed the non-profit organization, and continued exhaustive investigation efforts to seek justice for those wrongfully convicted. Two years later Actual Innocence Review received its 501(c)(3) designation. Actual Innocence Review has been involved in dozens of potential wrongful conviction cases, with the three most prominent (and promising) being Ben Spencer, Gustavo Mireles, and Danny Holloway. Learn more about these cases. "The fairness and integrity of our criminal justice system is the foundational bedrock that concerns every American citizen. Please find a way to help reform it for the better. Give your time, your money, or your vote. Someday, it may be you sitting in the defendant's seat." If our investigation uncovers evidence that supports exoneration, AIR will continue to work with the family and/or attorneys, until all possibilities are exhausted, or the wrongfully imprisoned person is free. 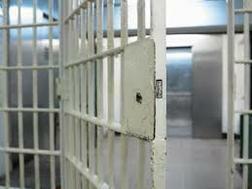 ​The average cost to free an innocent person is $350,000. AIR team members work without compensation. Funds raised go directly to support exoneration efforts and include forensic testing, legal fees, expert witnesses and much more. Please support AIR by Donating Today. Read about Actual Innocence Review's investigation in The Atlantic story Can You Prove Your Innocence Without DNA? by journalist Barbara Bradley Hagerty.